Tesla shareholders gathered in Mountain View, California for the company's annual meeting on Tuesday, and CEO Elon Musk vowed to do better. Specifically, Musk promised that two software updates are on the way for Model X cars that will fix the electric SUV's troublesome falcon wing doors. The doors use sensors to avoid hitting objects as they open and close laterally, but Musk admitted they've been "incredibly difficult to refine." The first $80,000-plus Model X SUV's hit the roads in September, and they've been plagued by a series of manufacturing issues and recalls. Musk has admitted the design was too complex for a first generation model. 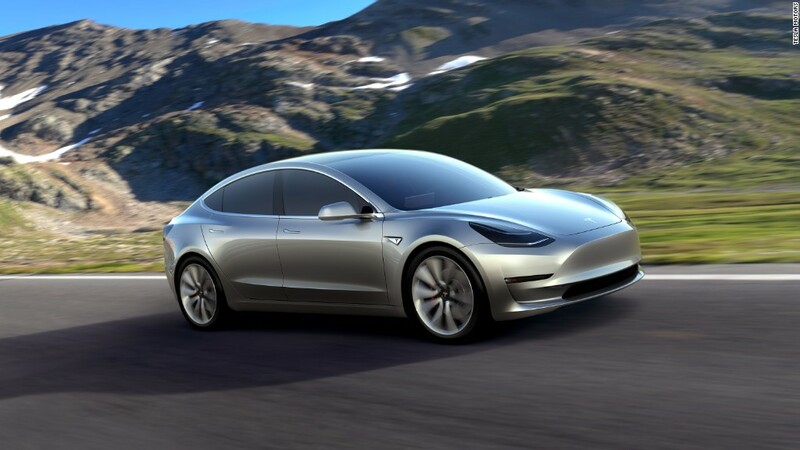 Musk promised shareholders that the electric car maker's third model -- the mid-priced Model 3 -- won't face similar issues when deliveries begin next year. That's because the mass-market vehicle was specifically designed to be simple to produce. Tesla's Model X and Model S designs, on the other hand, emphasized performance and luxury. In fact, Musk said that instead of focusing on vehicles right now, he's taken a step back to think more about the manufacturing process as a whole. "We're thinking hard about the importance of the machine that's making the machine," a concept that is particularly important as the company works to scale up production of its electric cars to meet growing demand. Tesla is working to up its annual production capacity to 80,000 cars by the end of the year. Musk also spoke at great length about the electric carmaker's 12-year history, telling shareholders he founded the company in at a time when starting an electric car company was a laughable idea. He admitted that at the time, he figured the company had a "10% chance of success." Tesla still hasn't made any money, but Musk says he's "this is the most excited I've been about the future of the company." For one thing, he said it's safe to expect Tesla to launch more novelty products: "I really want to do a lot more with Tesla apparel and accessories in the stores," Musk said.